Why Porter County Community Foundation? Since 1996, We have been gathering generosity, helping over 7,000 donors - people just like you - make a gift that lasts. 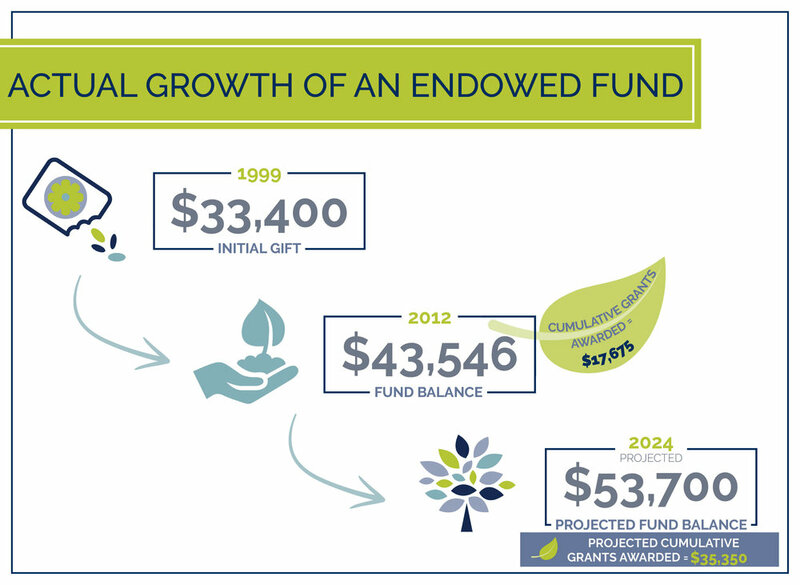 Here is an example of a real endowment fund held at the Porter County Community Foundation. With an initial gift of $33,400 in 1999, the fund balance 13 years later was up to $43,546 and had already paid out $17,675 in grants! The projected fund balance in 2024 is $53,700 and the estimated grants awarded by that time will be $35,350. Learn how to make your love for Porter County last with your own endowment fund. Click the button below for more info.